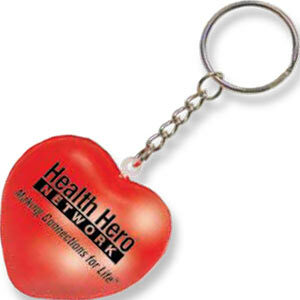 Need an item for campaign to use in goodie bags or as give aways? Then consider custom printed mood keychains. 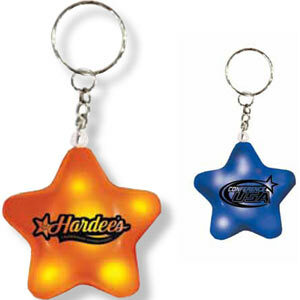 Our mood keychains are fun cost-effective items that will captivate your customers. People will watch closely as the keychains change color when held. These mood keychains are made of a stress squeeze material that is fun to play with and release tension. Can you think of a better way to promote your business with a freebie? 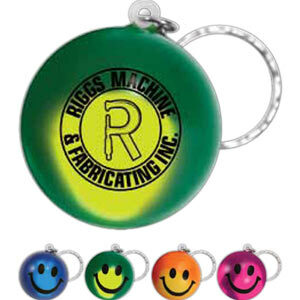 Have your promotional mood keychain imprinted with your logo, name, or custom artwork for your next convention, trade show, parade, fundraiser, car show, or special event. Changes color by heat from your hand. It is made from stress squeeze material, density and color may vary. It is 2" x 2" in size. Changes color by heat from your hand. It is made from stress squeeze material, density and color may vary. It is 1 3/4" x 1 3/4" in size. Setup: No set-up charge on exact reorders. Changes color by heat from your hand. It is made from stress squeeze material, density and color may vary. It is 1 1/2" in size.